"Qualitative Research in Attention to Diversity". The participants met from April 8 to 10, 2011 at the Seminar Centre of the SRH Business Academy in Heidelberg, Germany. Presentations from the annual workshops in Sassari (2010) and in Heidelberg (2011) have been combined in this volume. 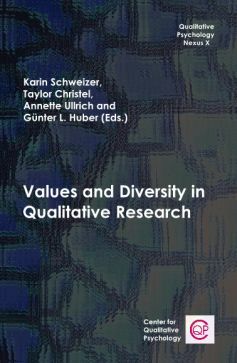 The book has two main parts: "Reflections on Values and Diversity" (Part I) and "Methodological Impacts" (Part II). All of the twelve chapters in these two parts are related to a specific aspect of diversity and have been presented at either the workshop in 2010 in Italy or 2011 in Germany.